Nara Rohit plays the role of an aspiring film director. He narrates a breath-taking love stroy to his girlfriend in a coffe shop. The next day, an unknown message knocks his door asking him to turn up with a love story. Nara Rohit sends their own love story to the man. The stranger gets impressed with the plot, but asks Nara to have an action ending at the end. Nara send another thrilling plot which makes the stranger send a parcel with a gun to kill the real life villain who is implying the same plot. Nara comes to know everything about the villaina nd tries to escape from his trap. But he gets himself into another mess as his girlfriend gets caighut up. So now a comman man turn against a villain and who is the stranger? Did Nara finally become the hero? Let’s watch it in theaters for answers. Isn’t that interesting? Make sure you don’t miss out the heat in the theaters. Nara Rohit is on a hattrick now. His two recent films, Savitri and Tuntari entertained his fans. Many audience were satisfied, but with RCV they will see Nara Rohith as a complete package now. He can do any kind of films and this is proved with this movie. Debut Director Pradeep showed his exclusive talent by coming up with a fresh plot which made the audience stick to their seats. The movie had the film of Drishyam. The same intensity goes on in the film. You shouldn’t miss this thriller film. Take a look at the antagonist. Tarakaratna has turned as a villain for the first time and his performance has come out flawless. Nara Rohit and Tarakaratna scenes look intense with the BGM score, which doesn’t even allow us to blink our eyes. Coming to the highlights of the film, story, music, bgm, action came out good. Though there was a bit of lag here and there, the climax makes us forget all of them. 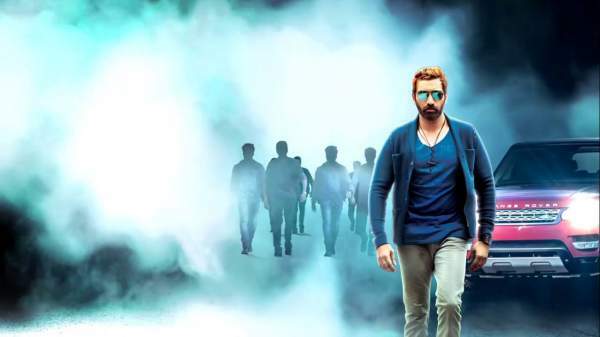 On the whole, RCV flick has turned out to be a thriller film which must not be missed this weekend. We would be rating this film, 3/5 stars. Kudos to the RCV team and come back to see its Box Office Collection. Have you watched the film? What is your Raja Cheyyi Vesthe Movie Review Rating? Feel free to share and see what others have shared below. Stay tuned for latest Tollywood news and other Entertainment updates. Fake review . The movie is below average . Yes Nara rohit is heading for hatrik flop with RCV . Rohit pls take a break .. I am your fan and I am disappointed with your selection of movies . Savitri – 2 stars , thuntari – 1 star and RCV is 2.5 star . This is genuine rating from all my friends and myself who watched the movie in Dubai last night .